Find out the Best Manga Reader Apps for Android in this article. You can download and install these Manga Readers for Free on your Android Smartphone. Download Links have been included along with each Manga Reading App that is mentioned in the article. Reading is perhaps among the most important things that can be done by a human. We read various texts for various purposes. Students learn new things by reading them from books. We can read for entertainment or obtain information. Books, newspaper and journals are the most common sources of information. Similarly, comics and storybooks are some common sources of entertainment. We all love reading as a hobby. However, sometimes a book we want to read may not be so easily available. Also carrying a book everywhere we go can be very inconvenient. So like every other thing we can also expect our smartphone to help us out. Luckily for us, even enormous books can be found in PDF or other readable formats for our Android device. These books take up very less memory space in our device. You can read these books whenever you like. 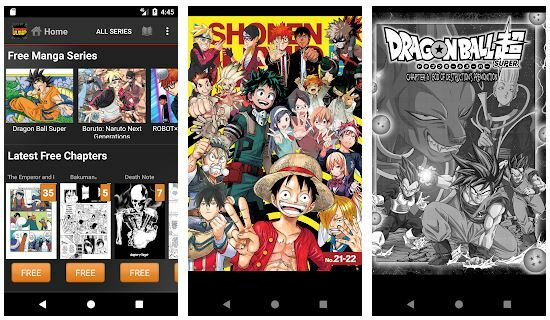 In this article, I have noted down some of the best manga reader apps available for Android. But first, we have to know hat is manga. Manga is basically a Japanese term. It refers to comics and cartoons which original in Japan. People of all age read manga. The types of manga vary widely in range. They are of all type including adventure, sci-fi, horror, detective, and even adult. However, the manga is not necessarily always in Japanese. It comes in English and may also be written in regional languages. Most books follow the same concept of black and white comic strips. Manga holds a popular market worldwide. Hereby I have noted down the best manga reading apps available for Android. This is one of the best apps available for reading Manga. Well to be more precise, it is the best app to find out the exact content you want to read. 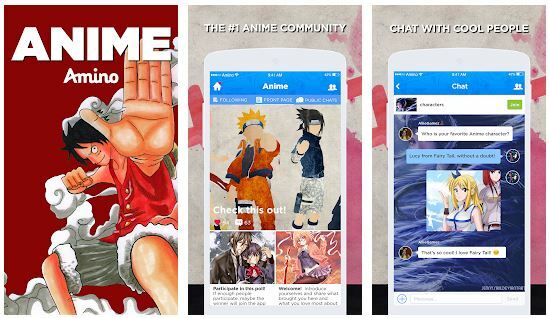 An important feature which this app provides is that it also serves as a social network for all manga and comic fans. Discuss manga with friends and readers from all over the world. You can also take suggestions from them. The app has a user-friendly interface. Click here to download animo anime and manga. This app is a comic book app for reading manga. It is very popular among fans of Marvel and DC. However, you can also use it for reading other manga. The fact that all comics are present in a neat and clean manner makes the app a must have for all manga fans. You can either subscribe to their service or buy the comic you want to read. However, all books are available in electronic format only. Here is the download link for Comixology. Everyone knows about the e-market giants Amazon. Amazon Kindle is their book division. It is a very good place to start building a book collection. You can get almost any and every manga that has ever been published. While the hardcovers can be a bit costly, the ebook versions are always cheaper. You can buy them and the readable format will be delivered to all devices with your kindle account. Here is the download link for Amazon Kindle. As you can probably guess, this app is made by Google. It is almost as popular as Amazon Kindle. 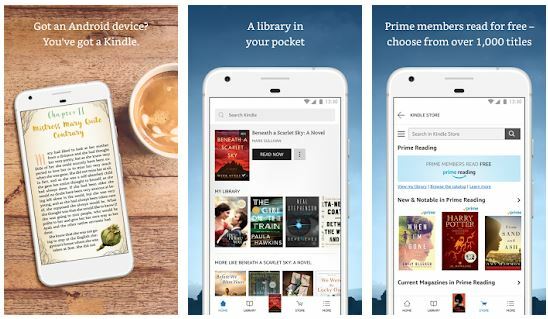 Check out any book you want, and buy them to read them offline. The book syncs with all devices connected to your google account. You can also add your own downloaded books in pdf and epub version to the library. This is a very big feature as of now. Here is the download link for Google Play books. A fair warning, this Manga app is not free for use. However, this app is worth the subscription. It is a manga streaming app. You can find most of the manga videos available ever in this app. It also has English subtitles. With a subscription, you can also get access to all the services of the manga. Considering that the app is relatively new, it is gaining good ground in the market. Another important feature is that you can get both manga and anime. Click here to download CrunchyRoll Manga. MangaZone is a good manga reading app. It has been specially designed with manga lovers in mind. The interface is very user-friendly. The app features a massive collection of more than 15 thousand titles. You can read them, and also talk about them in the community section. You can download manga content for free. Here is the download link for MangaZone. Another app like Kindle and playbooks, you can purchase and download any book you want. It also allows syncing with all your devices. Change your reading settings and modes. Create profiles and share stuff between them. This also leads to the concept of lending. Click here to download Nook. Moon+ reader is a very good app for reading manga. The app supports multiple formats like PDF, CBZ, FB2, HTML, EPUB and others. It is very good for people with offline manga collections. You can download the app for free and get the ad-free version for a small price. Here is the download link for moon+ reader. This app features a very big collection of manga titles. All the books have very high-quality images. You can also download the books for offline viewing. Click here to download Manga Rock. An interesting fact about this app is that they are manga creators themselves. They create content and release it weekly. You can read various content on your android device with this app. Here is the download link for Viz media manga apps. Based on the above heading, here is a list of the best Manga reader apps available for Android. Thus we see that there are a lot of manga reading apps available for Android. They can cater to your needs when you do not have the time to handle a clumsy book! However, a true admirer of books will always try to buy the physical book for his or her collection. I hope this article has helped you. 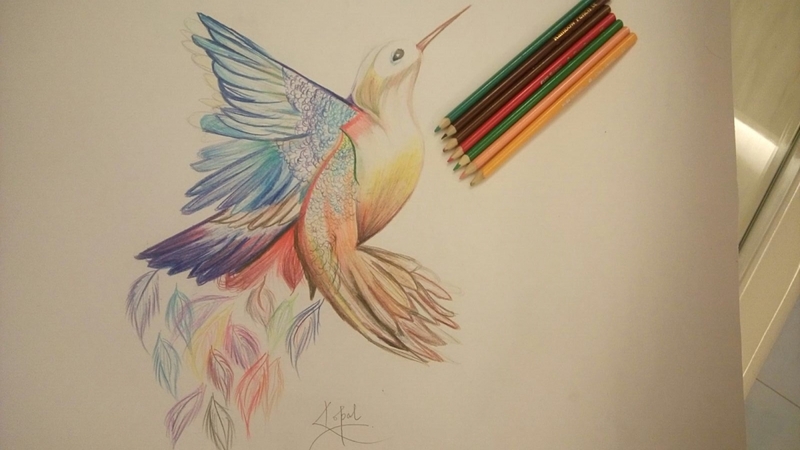 Please do not forget to share your thoughts and the apps I missed in the comment section below.